Come and join us for a day of needle felting in the gorgeous town of Barnard Castle. You will be given expert tuition in a small friendly environment. 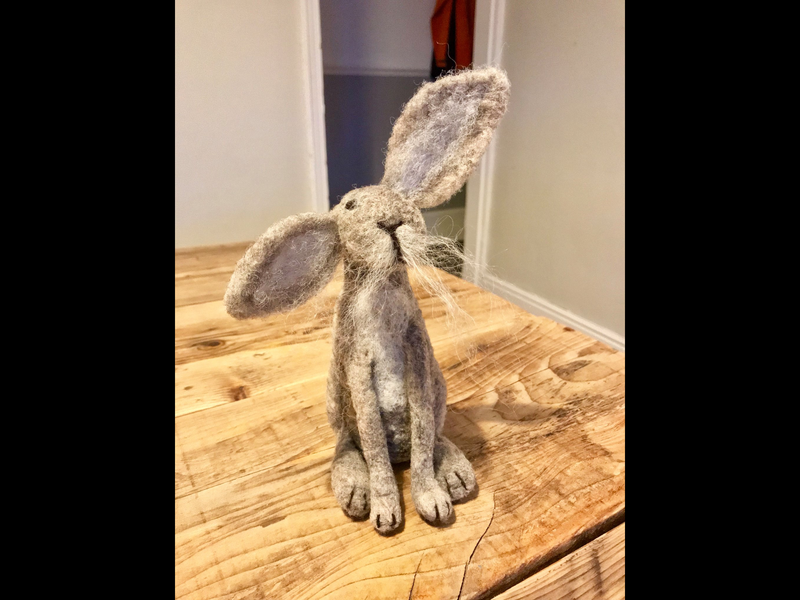 Kate from That’s Sew Ewe will guide through various needle felting techniques to create your own Hare which will stand approx 9” tall from tip to toe. You will have a choice of colours. Workshop is suitable for beginners and the more experienced. All materials are provided as well as a light lunch of homemade soup and tea/coffee. This event is not suitable for under 16’s. Cost is £65 per person. Fb page That’s Sew Ewe to book. Workshop T’s & Cs apply. Please contact Kate for details.